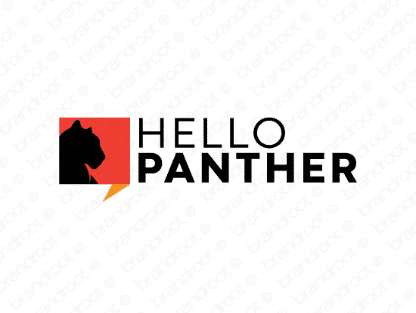 Brand hellopanther is for sale on Brandroot.com! A fun fusion of "hello" and "panther" that combines lithe feline grace with an approachable character. Hellopanther is an evocative brand with broad appeal for anything from smart social media apps to intriguing new technology ventures. You will have full ownership and rights to Hellopanther.com. One of our professional Brandroot representatives will contact you and walk you through the entire transfer process.